"My legal battles to save the common"
"THE FIRST PHOTOs ARE OF WHITCHURCH HEATH COMMON LAND CL21 AFTER I HAD GOT THE FARMER MOVED OFF, HE WAS USING THE LAND TO DUMP POULTRY WASTE WHICH HE THEN PLOUGHED INTO THE LAND AT 200 TON PER ACRE, AND REMOVED A CROP-S OF POTATOES FOR ABOUT TWO YEARS. 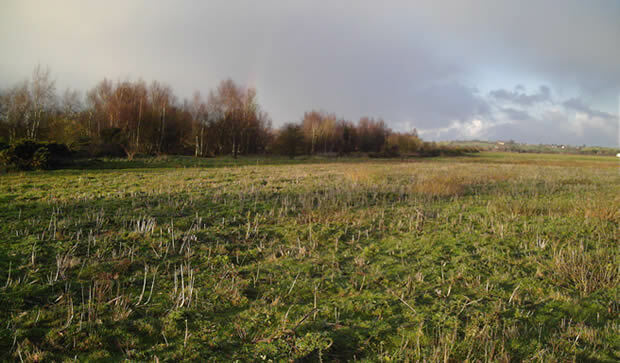 THIS PART OF THE COMMON WAS RECOVERING, AND THEN MEMBERS OF BUTTERFLY CONSERVATION CLAIMED TO HAVE PURCHASED IT FROM BOGUS OWNERS FOR £240,000, THIS IS WHAT "KATE ASHBROOK, OSS, BC, NE, SHROPSHIRE WILDLIFE TRUST, PLANNING INSPECTORATES KATRINA SPORLE AND GINA WARMAN" CALL" BIO DIVERSITY"
THE LOWER DISTRICT COURTS SUPPORT THESE CLAIMS,I ALWAYS APPLIED FOR REFERRAL TO GO BEFORE A CIRCUIT JUDGE WHICH I GOT, AND HAD THE LOWER COURTS JUDGEMENT OVER TURNED, AND WAS AWARDED COSTS. BECAUSE I AM STILL AT IT IN REMOVING ALL MANNER OF ENCLOSURE, I HAVE BEEN CHARGED WITH CRIMINAL DAMAGE, AND HAVE A SKELETON ARGUMENT BEFORE THE CROWN COURT AT THIS MOMENT. THE FARMERS LEGAL OBVIOUSLY HAD A WORD IN HIS CLIENTS EAR, WHICH RESULTED IN THE REMOVAL OF THE WASTE. MY QC, HAS NOW APPLIED FOR FULL DISCLOSURE OF ALL DOCUMENTATION SHOWING GOOD TITLE, THERE IS NOT ANY, THIS COMMON IS PROTECTED UNDER SECTION 45 OF THE 2006 COMMONS ACT, SO THE VENDOR, AND ALL OTHER CLAIMANTS ARE ON A SUBPOENA. MY MITIGATION AND THAT OF WCA IS THAT OF COLLUSION BY LA'S, NE,BC, SWT,HMRC, RURAL PAYMENTS AGENCY AND FRAUDULENT VENDORS. "